” Remote Aboriginal Australians with kidney disease have demanded equitable access to life-saving treatment closer to home to prevent the removal of people from their traditional homelands. Report lead author Dr Jaquelyne Hughes says the current model meets medical needs, but missed the mark in helping indigenous people feel connected to their country, families and culture. “We heard, overwhelmingly, of how people felt lonely, distressed and isolated following relocation to access treatment,” Dr Hughes said. Some patients reported homelessness and desperation because of this disconnect, describing having to stay in the long grass when Darwin hostels are booked out. A Torres Strait Islander said many sick people are forced to travel up to 1000 kilometres to Cairns and Townsville to receive dialysis. “And they cry, their tears are running, because they want to go back home, they miss their families, they miss the lifestyle of the islands, because they are islanders,” the patient said. Many noted the disease can fracture communities as elders become ill and are relocated together with their relatives, who miss out on cultural obligations and suffer disruptions to education and employment. “We want them (the elders) to stay in communities. They are the old people; they have to hold country and family together for us,” one patient said. “Families living in Darwin (for dialysis) are missing out on ceremonies, funerals and other important stuff,” another person said. Dr Hughes said the only type of care available to most indigenous renal failure sufferers was designed by and for people in cities at the expense of those in the bush. Indigenous people with kidney disease living in remote and rural Australia as well as their support networks have made a resounding call for equitable health care closer to home in a report released today by Menzies School of Health Research (Menzies). In the ‘Indigenous Patient Voices: Gathering Perspectives, Finding Solutions for Chronic and End-Stage Kidney Disease’ 2017 symposium report, renal patients and carers from across northern and central Australia highlighted the need for more holistic care and services to be made available closer to home. 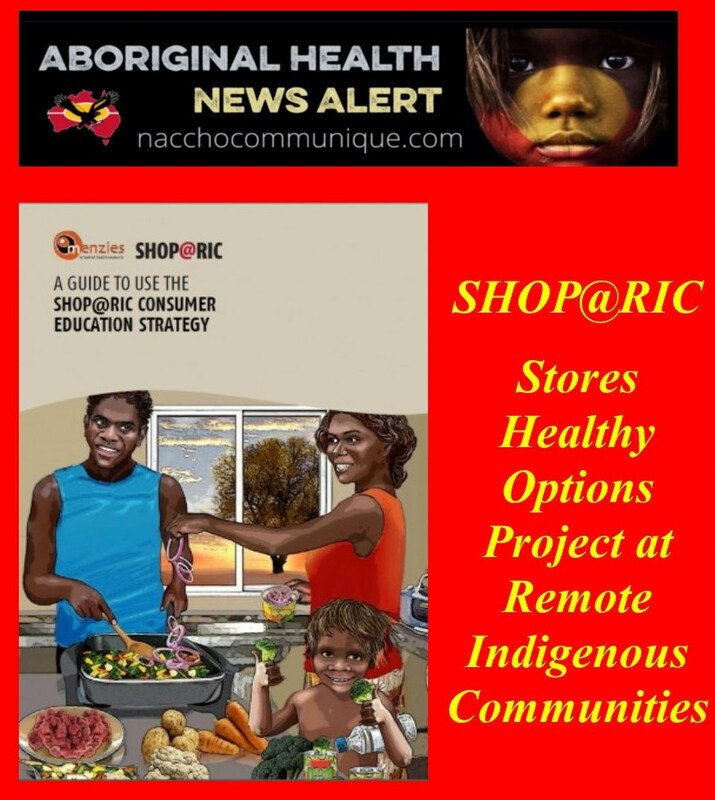 Report lead author Dr Jaquelyne Hughes said current health care systems met medical care needs, but missed the mark in helping Indigenous people feel connected to their country, communities and culture while they received treatment. “Some patients reported homelessness and desperation because of this disconnect. They are not rejecting the desire to live well; they are rejecting the only model of care available to them. 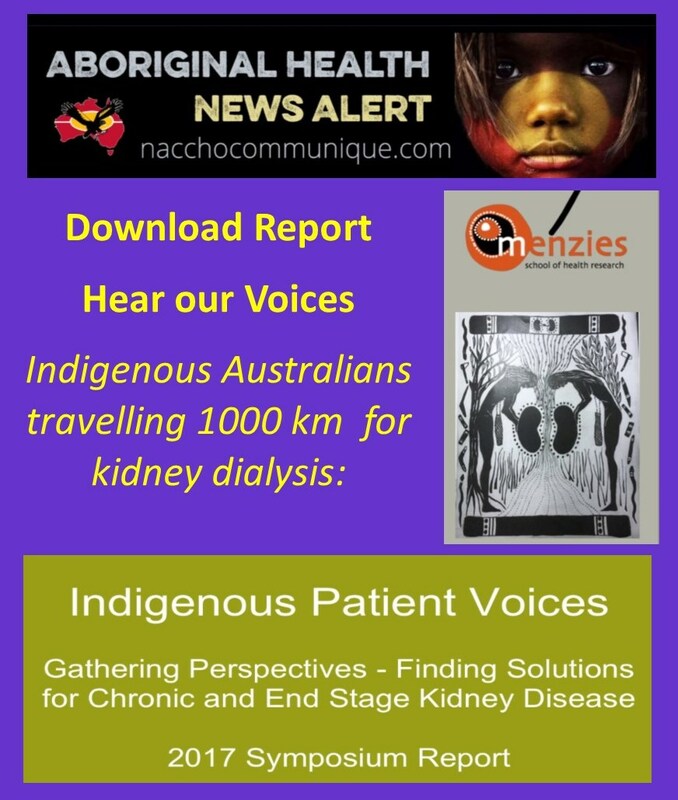 The report follows the Indigenous Patient Voices Symposium held during September in Darwin in conjunction with the 53rd Annual Scientific Meeting of the Australia and New Zealand Society of Nephrology (ANZSN). Dr Hughes is one of many health practitioners urging the Australian state, territory and federal government health ministers to respond to this call to action. “Consumer engagement is a national priority of Australian health services, and the symposium showed many Aboriginal and Torres Strait Islander people are willing to provide feedback to support the necessary health care transformation,” she said. The report is available via the Menzies website at http://bit.ly/2znSx7d. The Indigenous Patients’ Voices Symposium was supported by Kidney Health Australia, Astellas Pharma Australia and Novartis Pharmaceuticals Australia. “I chose to help create this film because I wanted to help young women living with RHD and make sure they can access information about contraception, pregnancy and planning for a baby. What is the take home message from the film? 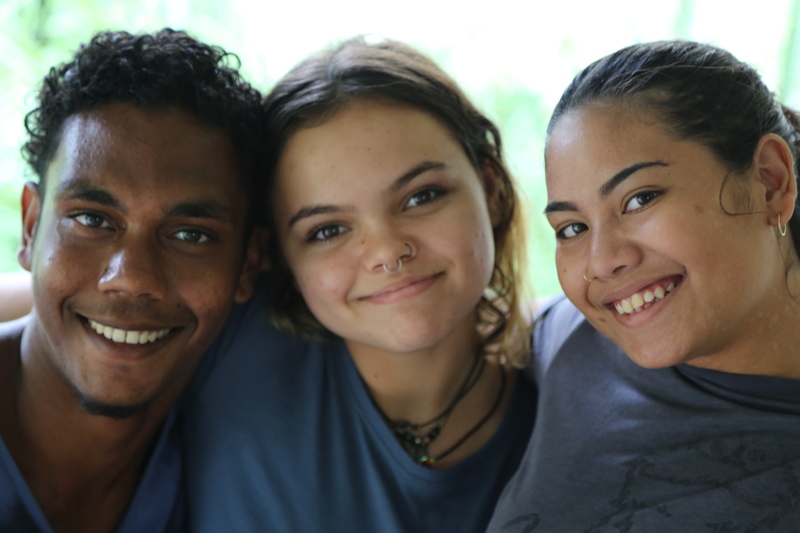 RHDAustralia sat down with one of the directors, Ms Kenya McAdam, a 21 year old Jaru and Kira woman from Halls Creek, Western Australia currently living in Katherine, Northern Territory. For Kenya this film was deeply personal and an intimate reflection on life as a young woman living with RHD. Kenya developed RHD at 15 years old and required open heart surgery within 3 months of diagnosis. Since that time, Kenya has worked with RHDAustralia to raise awareness about this 100% preventable disease. You can find these films and other important resources on the RHDAustralia resource page. 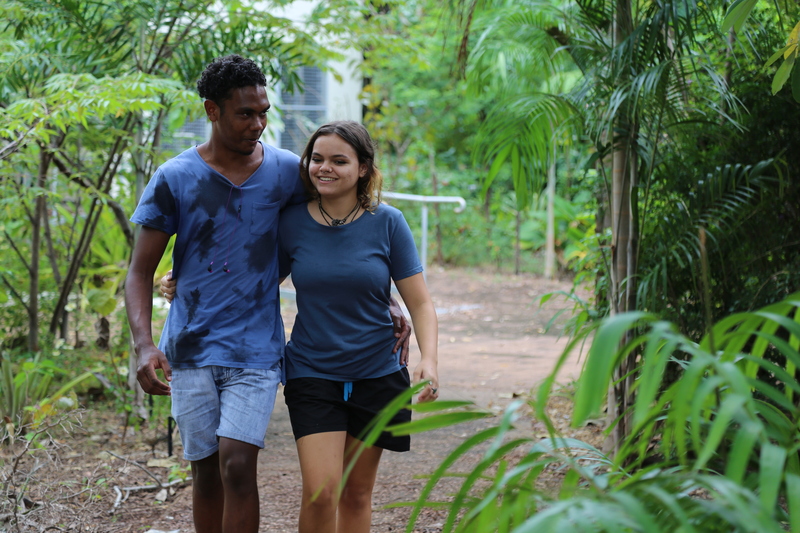 A new film written and directed by a group of Northern Territory Indigenous women follows the story of Tess, a young women whose boyfriend, Jamie, reveals his desire to start a family. While surprised and happy, she’s not told Jamie about her rheumatic heart disease (RHD). She’s not sure how her heart disease will affect her pregnancy or if she can have a baby at all. Looking for answers, Tess turns to her best mate, her mum and the local health clinic for guidance on what to do next. Will they have the answers? The film will be launched in Bagot Community, Darwin on 6 October. Sharing a Heartbeat is freely available in English and Kriol with plans to make the film available in more Indigenous languages. You can find these films and other important resources on the RHDAustralia resource page. Additional print resources are linked with the English and Kriol through the resource page on our website. 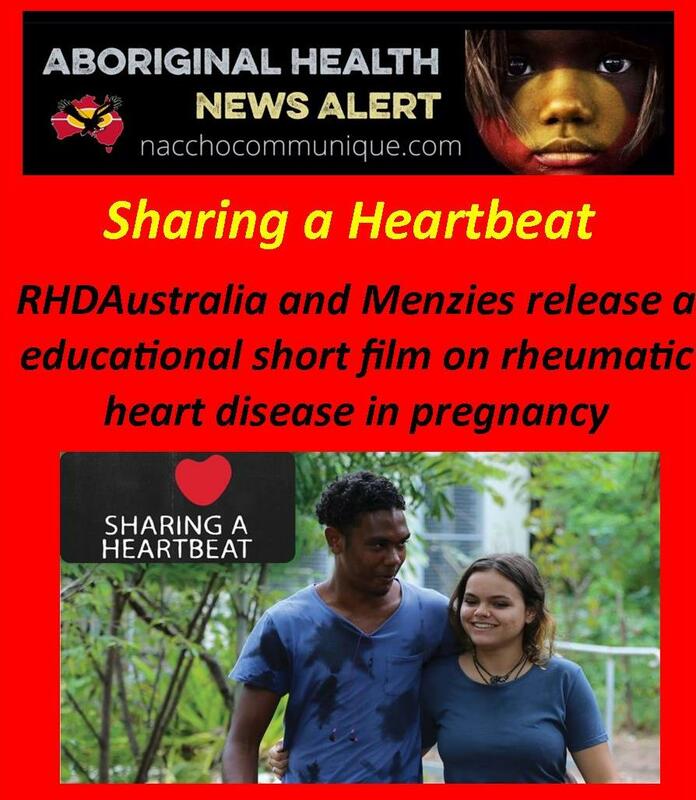 By embracing two-ways learning and a spirit of cross cultural cooperation, RHDAustralia and Menzies School of Health Research are proud to announce the completion of the first ever educational short film on rheumatic heart disease in pregnancy entitled Sharing a Heartbeat. Hi Kenya, why did you decide to get involved in the creation of this film? Having Kenya involved from the very start was central to ensuring the film was produced from a patient centric, woman centric and gender sensitive standpoint. But of equal importance was making certain it was developed to be culturally appropriate and safe. This was accomplished by including Indigenous women throughout the process, whether in the design, development, testing or making of the resource. One of the key contributors alongside Kenya was Noeletta McKenzie whose daughter, Raychelle, was diagnosed with RHD four years ago at the age of nine. Noeletta’s been involved in numerous community development projects in Maningrida and Darwin and was quick to answer a call for assistance with the making of the film. “I saw the advertisement on the RHDAustralia Facebook page and enquired about how I could support with the development of the resource.” Noeletta helped to co-write the film and to guide and consult the actors on set. There were many people involving in the making of this film and we would like to thank the actors, directors, writers, and producers for producing such a well-crafted and meaningful film that is educational, culturally responsive, collaborative and meaningful. This film was produced by RHDAustralia and made possible with a grant from NTPHN. Literature reviews and content surveillance of health promotion material from Australia and New Zealand shows that there is very little information available for girls and women who have RHD. A recently completed study conducted by the Australian Maternity Outcomes Surveillance System (AMOSS) has shown that for Indigenous women in Australia, there are many misconceptions around rheumatic heart disease (RHD) and how it can impact their pregnancies. Films directed by Indigenous women on any content are rare. Rheumatic heart disease is up to twice as common in women, and tends to affect women during their child bearing years. There is a 30-50% increased cardiac workload in normal pregnancy. The target audience for this film is girls and young women from ages 13 to 20s who have mild to moderate RHD. When Kenya McAdam wasn’t bedridden as a child, she would drag herself to school and sit in the classroom. 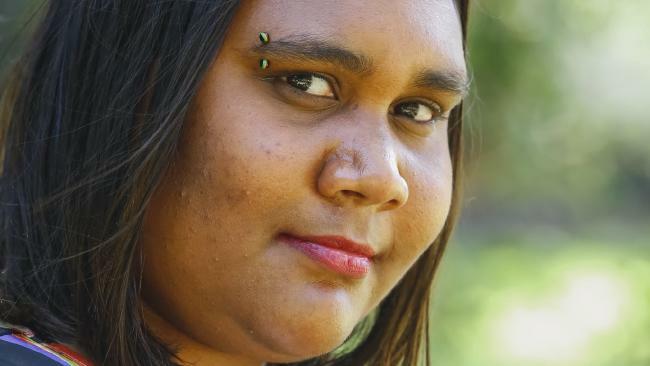 “I wouldn’t move,” says the 21-year-old childcare worker, whose current good health is proof that she has survived rheumatic heart disease. But Australia has a high level of the disease, which is caused by a bacterial infection of the throat and skin and is common in poverty-stricken nations. Some of the nation’s leading medical researchers are meeting today in Darwin to create a plan to wipe out the life-threatening condition, which disproportionately affects indigenous Australians. Pediatrician Jonathan Carapetis, who has led research efforts for 20 years, says young people such as Ms McAdam are up to 122 times more likely to contract the disease than non-indigenous youngsters. And it affects one in 43 indigenous people living in ­remote and rural Australia. Rheumatic heart disease can result in permanent damage to the heart if it is not treated with antibiotics. It is caused by a bacterial infection of the throat and skin, which can result in heart failure and other complications, including stroke, without antibiotic treatment. Ms McAdam’s life was saved by heart surgery to repair leaky valves after a cardiac arrest and years of breathlessness. “My mum thought that only older people suffer from heart attacks,” she said. Her younger brother and sister must endure a painful penicillin injection every month for up to 10 years to prevent further infections. But many affected indigenous youth fail to receive more than half their monthly penicillin requirement. More than 2600 ­people in the Northern Territory have rheumatic heart disease, while sufferers in Western Australia’s remote Kimberley Region are recorded as dying at an average age of 41. Professor Carapetis said research institutes around Australia were collaborating on ways to prevent and treat streptococcus infections that lead to the disease, such as long-acting penicillin or an antibacterial vaccine. Heather D’Antoine, from Menzies School of Health Research’s Aboriginal Programs, said today’s meeting to discuss lifesaving initiatives “can’t come soon enough”. “The impact on our community is devastating; children must travel for heart surgery; young adults live with premature disability; and pregnant women face high-risk pregnancies,” she said. ” Paternalism is symptomatic of a view of Aboriginal Australia which sees Indigenous people purely as the problem. It speaks to that old lie – that Aboriginal people have inflicted this deprivation on themselves, and that governments must save them from themselves. Despite my pessimism about the current direction of government approaches to the Aboriginal community I do see some cause for optimism. The communities which are doing best are those which have found ways to support their own initiatives despite failing Government approaches. I take heart from organisations like Tharawal in Sydney’s South-Western Suburbs – an Indigenous health services ( and NACCHO Member ) which does not just focus on treating illness when it occurs. They target what Sir Michael Marmot calls “the social determinants of health” and what the Menzies School of Health Research has worked so hard to identify. Stable housing, early education and social support. I open by acknowledging the Larrakia people on whose land we meet today. I pay my respects to their elders past and present. I also take this opportunity to acknowledge their long struggle for equality, for land rights and for self determination. I pay tribute to the Larrakia peoples’ determination in the face of denial and I mourn with them the loss of so many elders before their 23 year struggle for land rights could be resolved. I am acknowledging the fundamental truth that this land has played host to thousands of years of lived human experience. Cultures evolving and changing since the first sunrise. I want to thank the school for hosting me today. The world class socio-medical research published by the Menzies School of Health Research will lead to very real improvement in the standard of living for many Aboriginal people.  Various Northern Territory administrator and MPs. It is an honour to be invited to deliver the Menzies’ School of Health Research Oration for 2016. The way, as I see it, forward from here. But I want to start by appealing to your optimism – the facts of our condition can be dispiriting but I am reminded of the lessons taught to me by the late Faith Bandler. I had the extraordinary honour of being invited by Faith’s daughter, Lilon, to speak at her memorial service in the Great Hall at Sydney University. Faith more than anyone understood that we are playing the long game – it require understanding and devotion but most of all it requires patience. The memory of Faith is an appropriate one – it was the work of Faith, along with so many others like Jessie Street and Alan Duncan that convinced the Menzies and Holt Government to hold the 1967 Referendum. That 10 year campaign saw the revitalisation of the fight for Aboriginal and Torres Strait Islander rights and began the journey of truth telling. In my first speech to the Australian Parliament I told the story of an older non- Aboriginal woman making her way to the voting booth late on Election Day. It was cold and dark and her daughter urged her just to give up and go home as she slowly made her way across the park to the local public school– but she insisted. She said that her opportunity to vote for an Aboriginal woman “was history”. 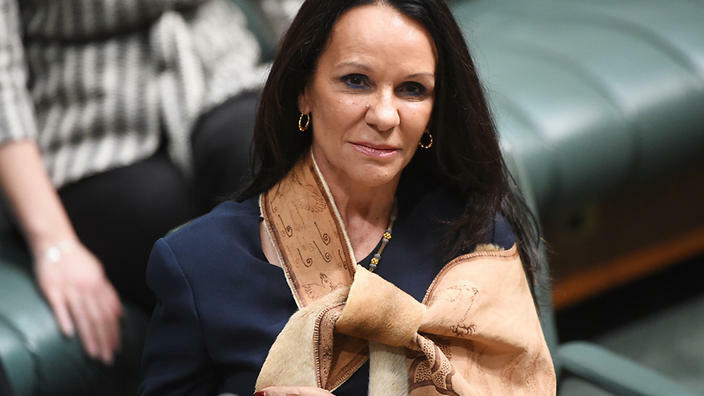 She saw that she had a stake in that election that transcended “bread and butter political issues”, she didn’t need to be an Aboriginal person to understand that. She knew that the election of an Aboriginal woman was not just a victory for Aboriginal people; it was a part of our shared national history. Not so long ago that would not have been the case – we had two distinct historical narratives. A white one and a black one. “White” Australia (as it was then) had no interest in Indigenous history, and “Black” Australia had no stake in engaging with a “White” future. That old woman proved to me that we are changing this. That campaign, led by Kevin Cooke and Reverend Harris (with a young Linda Burney too) sums up the feeling. One named for our 12th Prime Minister; who governed in an era which saw the revitalisation and renewed push for equality and self-determination for our people. His reign marked a turning point – the beginning of the end for the Australia which was nestled firmly in the bosom of the British Empire. It was a time of national coming of age. I am no political fan of Menzies but I think it is true to say that without him there could have been no Whitlam or Keating or Hawke. Their fiercely independent and inclusive model of Australian identity was born of a rebellion against the era of Menzies. So in this sense we owe him a debt of sorts. When I was only 4 years old in 1961, Sir Robert Menzies hosted a delegation of Aboriginal people from mainland states. They had already been fighting for years to see a referendum held which would grant Aboriginal people equal rights. There was considerable excitement amongst the attendees, a meeting with Prime Minister was in itself a victory for a community almost completely excluded from the political process at that point. Menzies served his guests alcoholic drinks. Our Prime Minister was shocked when informed by one of the attendees that that act was illegal under state law. Such was the denial of truth and the refusal to see discrimination in our country at that time – the sitting prime minister was, himself, unaware of this discrimination. It was paternalism in its worst form. Menzies resigned when I was 9 years old – he had been a constant on the radio and on TV for those who had them, for much longer than that. This explains to some extent the reverence with which so many look back on this time. To them it was stable and prosperous. But even looking back through the rose tinted glasses of nostalgia – we cannot help but catch glimpses of the rampant discrimination of that era in the corners of our eyes. Forced removal; captured so hauntingly in Archie Roaches’ “Took the Children Away, Government or church run reserves dictating the terms on which Aboriginal people could live, and; Government decrees which saw indigenous languages banned or even outlawed. This was an era in which the Indigenous people of this continent were still considered biologically inferior, in which the White Australia policy still enjoyed bipartisan support. It was a time in which the voices of women, non-white Australians and marginalised groups were systematically silenced. So, while I pay my respects to Robert Menzies I cannot deny this truth. Nostalgia and reverence aside, this was an age of acute racism and a total denial of history. We still considered ourselves an outpost of the British Empire, the millennia of Aboriginal history on this continent not only ignored, it was actively being hidden and destroyed. A Labor member of Parliament. If he didn’t accuse me of being a communist first, he might ask whether we had any political views in common and he might be surprised to hear where things stand today. The fact is, regardless of political stripe, Menzies and I share some core political beliefs. Sir Robert Menzies believed that government intervention could be a tool for good; he believed that the role of government was to empower the “forgotten” Australians and; He did saw economic growth as a means to an end not an end unto itself. Menzies invested significantly in the area. He was amongst the first leaders in Australia to recognise that the health of the community was a valuable measure of its prosperity. And while his view of the 1967 Referendum was in some ways conflicted (Menzies himself having campaigned against some proposals) he also oversaw the passage of the 1963 Commonwealth Electoral Act which granted universal suffrage to Aboriginal people regardless of the state in which they were born. Like the story of all governments when it comes to First Peoples’, Menzies legacy is mixed. Menzies to some extent defined his generation but he was still a captive of the more exclusionary views of his day. When it comes to the reconciliation process to date, truth telling is important. Truth telling has been a theme of my public life to date. In my view the path to reconciliation must be grounded in a fundamental commitment to truthfulness – it is one of the cornerstones of reconciliation. I told you earlier how surprised Menzies was to hear that the law prohibited serving his Aboriginal guests alcohol. If not deliberately, then subconsciously, he had chosen not to see this discrimination. As has much of the Australian community for the majority of our post-colonial history. We cannot afford to do that. We have a curriculum which teaches the truth of our history, we have a political system which now includes a record number of First Peoples and we have almost reached a national consensus about the imperative for action on closing the gap. This kind of truth telling is not purely symbolic. Australian continent, extends far beyond 228 years of colonisation. Aboriginal communities until the broader community understands the impact of generational disadvantage and cyclical poverty. When Kevin Rudd delivered the apology to the stolen generation in the federal parliament he undertook a momentous act of truth-telling. When that speech concluded two older Aboriginal women handed the Prime Minister and the Opposition leader a coolomon – it was an astounding act of generosity. For that generosity we owe considerable gratitude, but it also demonstrates in part why the apology was so important. That act of truth telling opened the door to forgiveness – and without it we cannot see old enmities consigned to the past. After The Apology, as I walked into the marble foyer of the parliament I ran into Aunty May Robinson, an elder from South Western Sydney. We fell into each other’s arms crying. It is my hope that the Recognition of First Peoples in our constitution will be another of these great moments of truth telling, and that it will pave the way for a greater depth of understanding. As it stands we have a Constitution which tells the story of western democracy; the Westminster system of government and a thousand years of its development. But it says nothing of the more than 40,000 years of lived experience on this continent that preceded European arrival. Our Constitution, the document on which the Parliament I sit in is founded, does not tell the truth. It is a fundamental failing and one that we cannot continue to ignore. This is a part of the reconciliation process that Dr Boraine talked about almost 20 years ago and it is a fundamental part of our nation building project. The symbolism of recognition belies powerful consequences. I saw the feeling of relief on the faces of those old women in the Parliament after the apology and felt the relief of the broader Australian community at finally having acknowledged the truth. More than anything else Recognition will add another thread to the tapestry of our national identity – a history and a story that we can all share. I do not concede to any argument that suggests this act will be divisive. The true act of division would be a continued denial of the truth of settlement and invasion. I am also hopeful that Recognition will pave the way to a more consistent and effective approach to Government policy in the area. For all the talk of “Prime Ministers for Indigenous Affairs” and a bipartisan commitment to closing the gap, we are yet to see the progress we need. Life expectancy for First Australians is almost 10 years shorter than the rest of the community – the number blows out considerably further for those in rural or remote communities. Our young people are locked up at ever increasing rates – almost 48% of those in the juvenile justice system are Aboriginal. Our birthweights are consistently lower, as are our educational outcomes and our average earnings. We are making slow progress – but it is not enough. For every year that passes without dramatic improvement in our condition we draw closer to a point at which we will have failed yet another generation. In the last week of Parliament I attended the launch of a report on the National Aboriginal Suicide Prevention Strategy. How can it be that for Aboriginal people attending the funerals of young people is so commonplace? It is easy to see how in the face of this despair, Governments can turn to lazy policy options and to the comfort of the past. Perhaps in frustration at slow progress Conservatives have done what they usually insist they will not – let the government pick and choose winning initiatives while ignoring community voices. Conservative forces have continued to drive us back towards the paternalism of the past – from the “10 point plan” on native title and the destruction of ATSIC in the late 1990s — through to the very recent cuts to legal services, defunding of advocacy organisations and of course the denial of support for the National Congress of Australia’s First Peoples. Half a billion dollars has been pulled out of the Indigenous affairs budget. A concerted effort to silence the voices of Aboriginal leaders and a refusal to accept what we already know to be true —- solutions to our problems need to be found with communities, not imposed upon them. 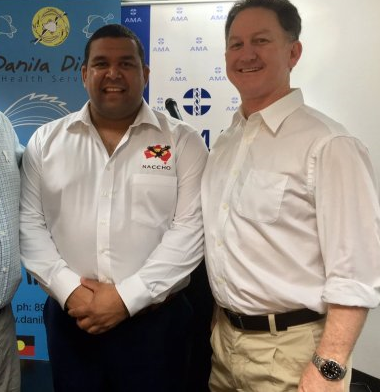 Don Dale provides a perfect example – the Koori media had reported this story months before any mainstream news agency did and members of the local community will tell you – they had raised these issues before. Indeed we know now that the both the Federal and State Governments’ were well aware of the issue. But the story received scant political attention. Key advocacy organisation which could have raised the issues more loudly, either didn’t have the resources or didn’t exist anymore. It necessarily makes communication one way, from top to bottom. Inflicting policy decisions on Aboriginal communities and then arriving later for a photo op and twitter post is not a substitute for consultation. Paternalism is symptomatic of a view of Aboriginal Australia which sees Indigenous people purely as the problem. I take heart from organisations like Tharawal in Sydney’s South-Western Suburbs – an Indigenous health services which does not just focus on treating illness when it occurs. And they are seeing excellent results. I also see innovative new approaches, like the University of Melbourne’s first thousand days campaign – recognising that supporting Aboriginal and Torres Strait Islander families in that vital period bears real long term fruit. Increasing birthweight, providing drug and alcohol support for expectant and new mothers – along with a whole range of other early interventions. I am optimistic because we know that many of the solutions we need already exist – they are not prohibitively expensive or impossible to institute. Here at the Menzies School of Health Research for example, you’ve done the research. You know it is about providing this information to the organisations that already work in communities – it is not a lack of ideas, we know the programs that work and they are community led. They just require political bravery – and with a record number of First Australians inside our parliament and an increasingly active and determined community outside it, I am confident we can find that will. I am confident that you can find it on my side of the chamber – I have never had more faith in my party’s commitment to Indigenous Affairs. I am optimistic because for the first time since colonisation we have a parliament that is beginning to represent the community and we will soon have a constitution that tells the truth. I talked earlier about Faith Bandler and her long game. She saw better than most that the campaign for the 1967 referendum was much longer than 10 years – it was a starting point for the project we are still running today. I think Faith agreed, I know I do. But Faith more than most saw that it was up to us to shape that arc – and I am confident that we can. We will have set backs, and we’ve taken some steps backwards but those aberrations do not define the trend. 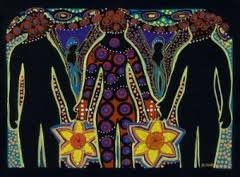 This is a process of national healing, it is a long journey and it does take time. To do it we need to tell the truth; and we are starting to do that. We need generosity; and believe that the First Peoples have that in spades. And most of all we need to accept that Aboriginal and Torres Strait Islander people are a part of the solution not just the problem. Most of all I take my optimism from the determination of Aboriginal and non- Aboriginal communities across Australia. I think the sentiment applies far more broadly – now more than ever I believe in our communities’ commitment to addressing these issues. Primary healthcare policy and planning experts from the Menzies School of Health Research (Menzies) have welcomed the release of the report into the landscape of chronic disease in Aboriginal and Torres Strait Islander Australians. 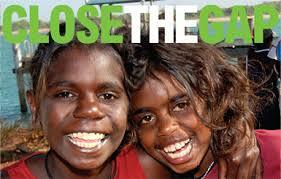 Chronic disease contributes to two thirds of the health gap between Indigenous and non-Indigenous Australians. Commissioned by the federal Department of Health and Ageing, the Sentinel Sites Evaluation (SSE) is a holistic evaluation of the $805 m Indigenous Chronic Disease Package (ICDP) ; a federal initiative designed to improve the capacity of primary health care services to more effectively prevent and manage chronic disease among Indigenous populations. Menzies Senior Researcher and SSE project leader, Professor Ross Baillie said health authorities around the world were struggling to re-orient their health systems to address the epidemic of chronic disease. “in 2010, the Australian Government engaged Menzies to undertake a comprehensive evaluation of the Indigenous Chronic Disease Package, “Prof Baillie said. The evaluation team conducted 72 community focus groups with a total of 670 participants, and over 700 interviews with key informants from community controlled, government services and GP sectors. Findings were reported back to local health services and to government in six monthly cycles between 2010-2013. Prof Baillie said the effective completion of the SSE shows Menzies’ capacity to inform and impact national policy with the view to maximise the potential benefit to Indigenous communities across the country. “The challenges of providing high quality chronic illness care remain complex and will require stakeholders at multiple levels of the system to grapple with new concepts, and develop and implement sophisticated strategies to address health disparity in Australia, “ Prof Baillie said. – Improved access to primary health care services and to affordable medication for many Aboriginal and Torres Strait Islander People. 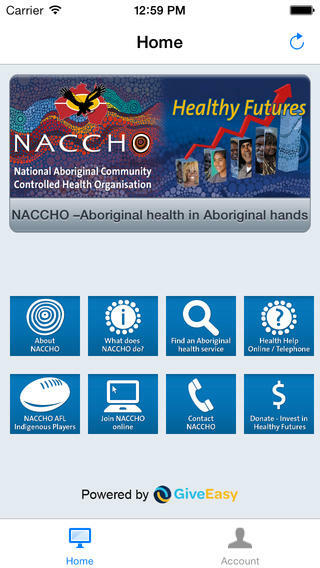 – Improved orientation of the General Practice sector to the needs of Aboriginal and Torres Strait Islander People. – Increased attention to enhancing access to specialist, allied health and team-based approaches to chronic illness care. – Professor Baillie emphasised that the evaluation report had been informed by frontline evidence from a variety of healthcare providers and community members. The report provides some direction for how service organisations and policy makers can build on the existing strengths of the ICDP priority areas. Interviews are available with Professor Ross Baillie. Professor Baillie is the Scientific Director of the Centre for Primary Health Care Systems and leads the NHRMC funded ABCD National Research Partnership on quality improvement in Indigenous primary health care. He is also involved in research on food supply and environmental health and housing in Aboriginal and Torres Strait Islander communities. The first ever study of the national patterns of incidence and death rates for cancers diagnosed amongst Indigenous children has been undertaken to help understand and reduce the risk and impact of cancer in Indigenous youth. The study was led by the Menzies School for Health Research’s Associate Professor, Patricia Valery in collaboration with the Australian Paediatric Cancer Registry. The study entitled, Cancer Incidence and Mortality in Indigenous Australian Children, 1997–2008, investigated the overall burden of cancer in this population, and where disparities exist, to plan what action is required. Click here for a lay terms cancer brochure developed to disseminate the study’s findings. The Brief Report has been published in the latest edition of the Pediatric Blood Cancer Journal. Associate Professor Patricia Valery is available for comment. She is a senior cancer researcher and Head of Menzies’ Cancer Epidemiology Group. We report cancer incidence and mortality among Indigenous children in Australia and compare the results with corresponding data for non-Indigenous children. This information is important in understanding the overall burden of cancer in this population, and where disparities exist, to plan what action is required. Age-standardized rates, and indirectly standardized incidence and mortality ratios (SIRs and SMRs) were calculated for the years 1997–2008. There were 224 cancers identified among Indigenous children (99.5 per million per year) and 52 Indigenous children died from cancer during the study period (22.9 per million per year). The SIR for all cancers was 0.64 (95% CI = 0.56–0.73; P < 0.001) while the SMR was 0.81 (95% CI = 0.61–1.07). These results provide a baseline with which to monitor cancer among Indigenous children over time. Pediatr Blood Cancer 2013; 60: 156–158. © 2012 Wiley Periodicals, Inc.